In Taiwan, reform of pharmacy education has become critical in order to meet the present and future needs of social development and trend. Having comprehensively contemplated the concepts and measures of pharmacy education now conducted in the U.S. and Europe, the development of new knowledges such as artificial intelligence, bioinformatics and precision medicine, as well as the trend of inter-professional integration, we further discuss the core issues and future development of pharmacy education in Taiwan with references of two previously published papers on pharmacy education reform. 3. The Bologna Declaration of 19 June 1999: joint declaration of the European Ministers of Education. https://www.eurashe.eu/library/bologna_1999_bologna-declaration-pdf/. Accessed August 18, 2018. 4. Making the most of our potential: consolidating the European Higher Education Area. Bucharest Communique´, 26-27 April 2012. http://www.ehea.info/media.ehea.info/file/2012_Bucharest/67/3/Bucharest_Communique_2012_610673.pdf. Accessed August 18, 2018. 5. Directive 2005/36/EC of the European Parliament and of the Council of 7 September 2005 on the recognition of professional qualifications (Text with EEA relevance). Off J Europ Union. L 255:22-142. https://eur-lex.europa.eu/LexUriServ/LexUriServ.do?uri=OJ:L:2005:255:0022:0142:EN:PDF. 6. Pharmacy Education Forum，台灣藥學會年會, December 13, 2014. 7. 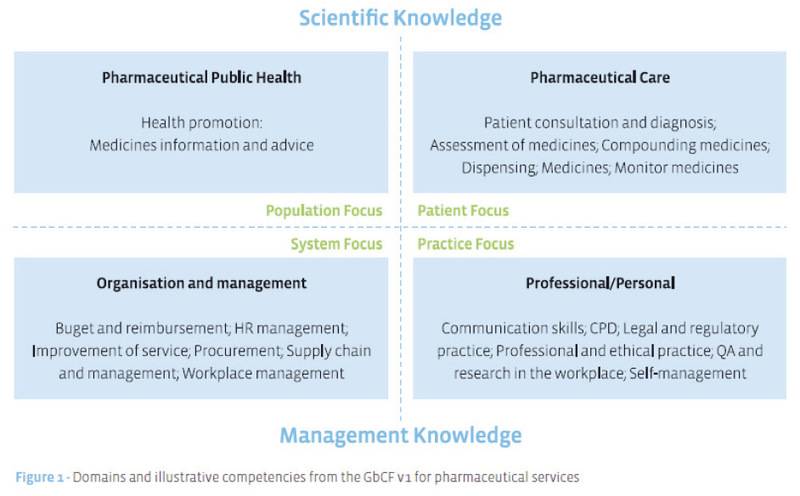 FIP Global Competency Framework, https://www.fip.org/files/fip/PharmacyEducation/GbCF_v1.pdf, accessed August 12, 2018. 11. Lai C-T, Feng L-Y, Lin H-W, Li JH: Different viewpoints of pharmacy education in taiwan: current pharmacy students vs. Pharmacy graduates. FIP-601, FIP Congress, Seoul, Korea, September 10- 14, 2017.